A real glove made for hardworking smaller hands. The gloves are constructed from B grade cowhide. 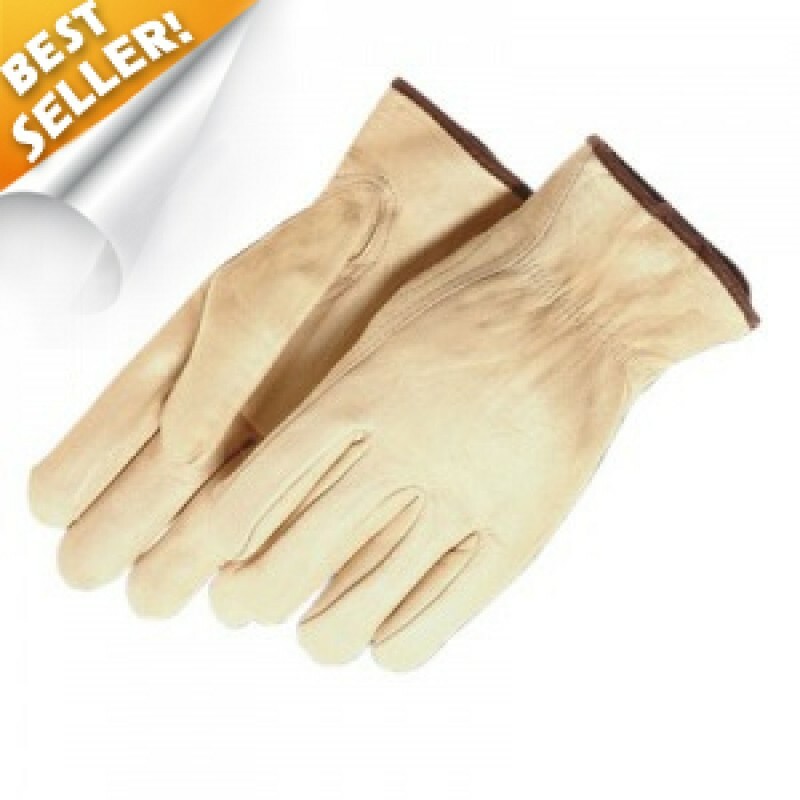 This leather glove features a keystone thumb design and a shirred back. A perfect fit for your little helper. The gloves run a little small--I bought the size 3 (age 3-6)for my 4-yr. old granddaughter, and it was way too small; I have to return them. The size 5 (age 5-8) did fit my 6-yr. old grandson, but a little tight around the wrist and difficult to put on. These kids are average size, not overweight. The gloves are well made of a nice soft leather.